Versatile multi-instrumentalist and singer. Equally at home in folk clubs, studios, formal concerts, at special events or in hotels and bars. 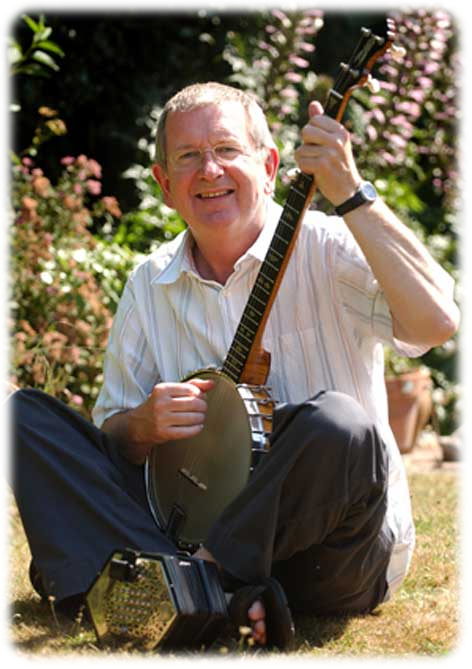 Ray's distinctive playing of the 5-string banjo combines musical styles from a broad range of traditions, and he is widely acknowledged for developing banjo playing techniques particularly suited to English and Celtic tunes. He was twice the featured live guest on the Andy Kershaw show on BBC Radio. He has also developed authoritative playing styles on the English concertina, the flute & piccolo, the bodhrán and various bagpipes. His vocal excursions include old-time religious songs, drinking songs, shanties and modern ballads. He is currently part of The Rude Mechanicals, with fellow multi-instrumentalists Barry Ruffell and Mick Parker. Both as a solo performer and in various bands, Ray has been featured on local and national radio, television, commercial recordings, in professional theatre and in folk clubs and concerts throughout Europe. Ray's musical interests are wide and certainly not confined to folk. He has played in, musically directed and conducted modern concert bands and has been involved in various jazz and classical projects.